Remanufacturers and aftermarket manufacturers will meet for MERA Sustainable Manufacturing Conference Spring 2019 in Dallas on March 20, 2019. The conference will include business outlook sessions, two different industry town halls with PACCAR and the Automotive Parts Service Group, apart from a tour of ATK North America. The conference will create numerous growth opportunities for automotive parts remanufacturers as they will be able to learn about actionable insights, trends and latest developments influencing the aftermarket trends. The conference will provide information relating to unique opportunities and challenges in the remanufacturing industry. 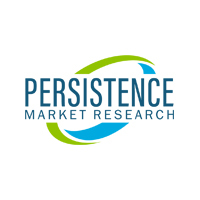 A latest report by Persistence Market Research (PMR) estimates that the global automotive parts remanufacturing market will bolster at a healthy CAGR of more than 7% during 2018-2026. According to the PMR analysis the remanufactured automotive parts are likely to witness significant demand in the forthcoming years, owing to the growing need for cost-effective remanufactured diesel engines. Furthermore, the proliferating automotive fleet and growing per capita spending power are accelerating the growth of automotive parts remanufacturing market. The advancing technology has enhanced automotive manufacturing processes, further increasing the average operational age of automotive vehicles, substantially. The PMR study opines that the number of vehicles with over 12 years in age is anticipated to grow by 15% in the next five years. The number of vehicles falling in 16-24 years age group grew 1.3X in 2015 in comparison to 2000, which is likely to create bullish demand for automotive parts remanufacturing market. A recently conducted survey found that a considerable number of people intentionally keep their old cars as alternative vehicles instead of selling them. As the vehicle ages, its repair and replacement of parts requirement grows, which is likely to trigger the trend of automotive parts remanufacturing. The growing adoption of electrical vehicles is likely to dampen the growth of automotive parts remanufacturing market. This trend will influence the sales of gasoline and diesel driven vehicles. Electrical vehicles have comparatively fewer mechanical components, which in turn, will decrease the role of aftermarket in automotive parts space. As per PMR, it will pose a huge threat to automotive parts remanufacturing market. The remanufacturing industry aids environment in numerous ways. Remanufacturing promotes energy conservations as it keeps automotive and truck parts away from resmelting process for long time. This further saves millions of oil barrels or comparable forms of energy. Further, automotive parts remanufacturing gives automotive components many lives instead of only one, thereby saving on raw materials. Consequently, remanufacturers save tons of natural resources, including aluminum, iron, and copper. Automotive parts manufacturing also reduces air pollution by keeping vehicular parts out of the resmelting process for longer times. Resmelting generates air pollution, and as remanufacturing delays this activity, it helps in keeping the air clean.